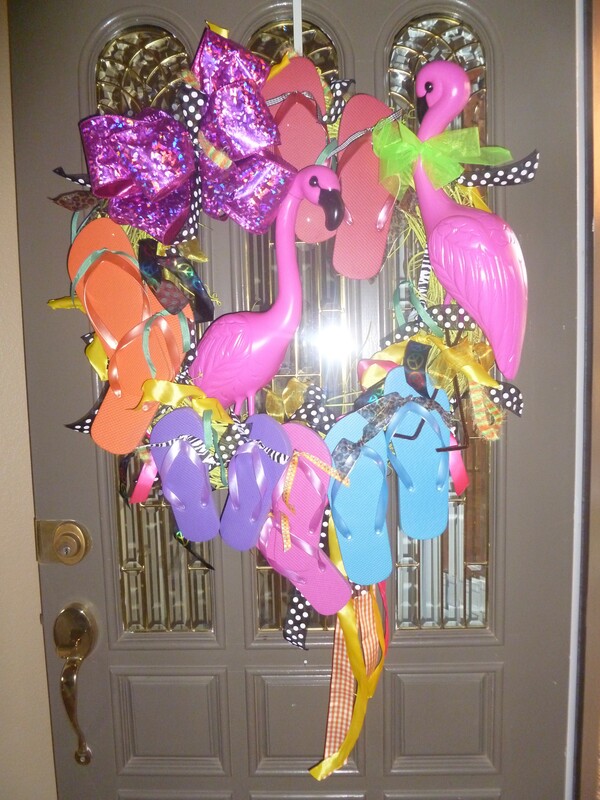 Show Me Some Flip Flops & Flamingos! I was ready to change to an all out Summer Time wreath. 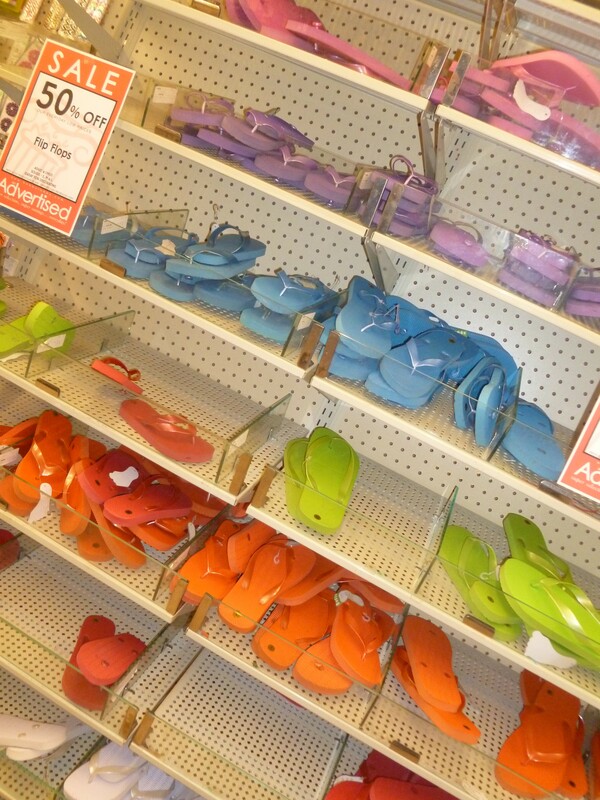 So while perusing the isles @hobbylobbystore, I spied flip flops in every color and they were on sale! 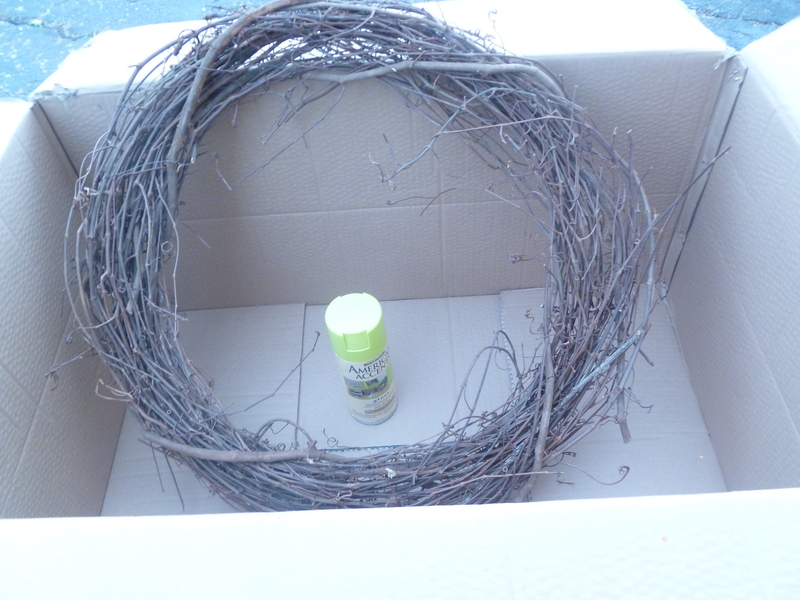 Tip: When spray painting objects it is best outdoors, and using an empty box allows the paint to have better coverage. 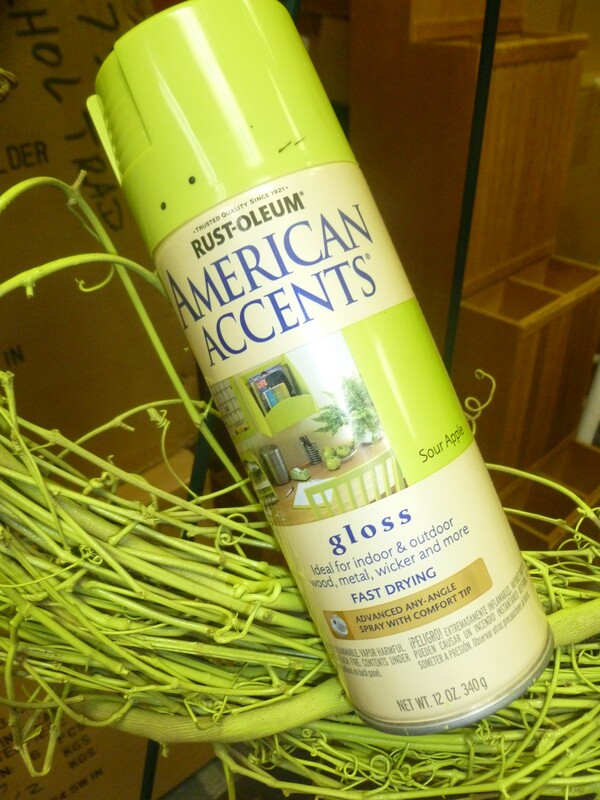 Tip: A gloss fast drying spray paint works great! 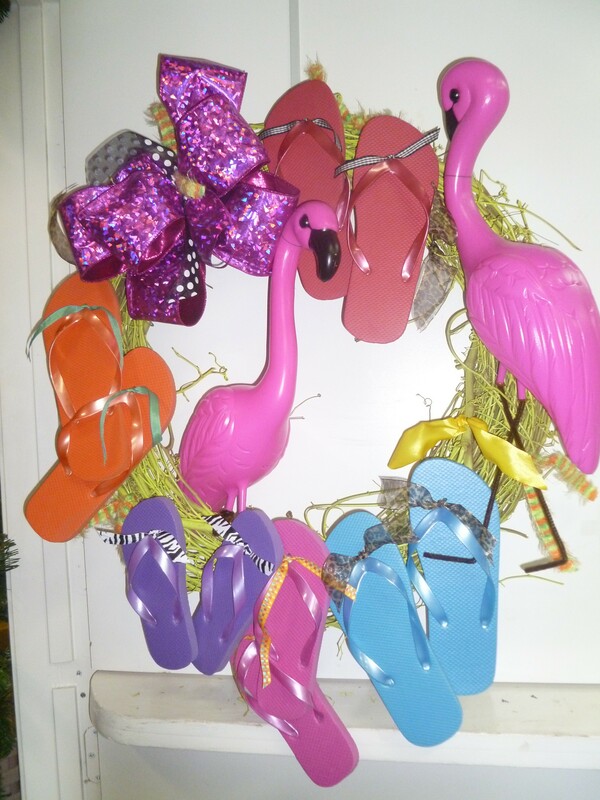 What goes better with Flip Flops than Flamingoes? 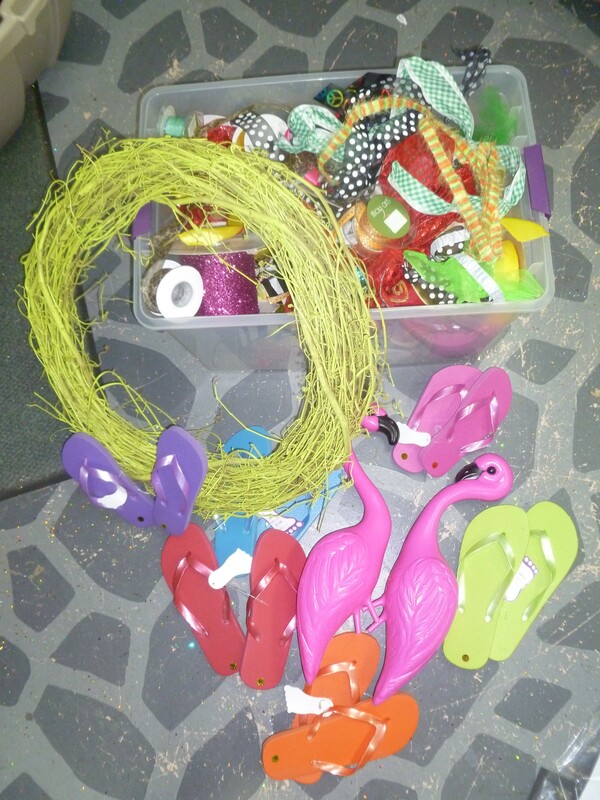 Flamingos were purchased from Wally’s Party Store for about $15. When making a wreath I like to have variety of colors, patterns and sizes. I also have my stash of ribbon in a clear tub marked ‘Ribbon’ for easy access. I recycle or reuse all those little or big pieces of ribbon, bows and trim from packages, gift bags etc. This is a great project to use up all those saved pieces! I tied a bow out of left over Christmas Ribbon from Rebecca’s tree and added a black and white polka dot ribbon tied across the middle. Tip: If you need to know how to tie a bow you can learn how with our Show Me App for iPhone & iPad! 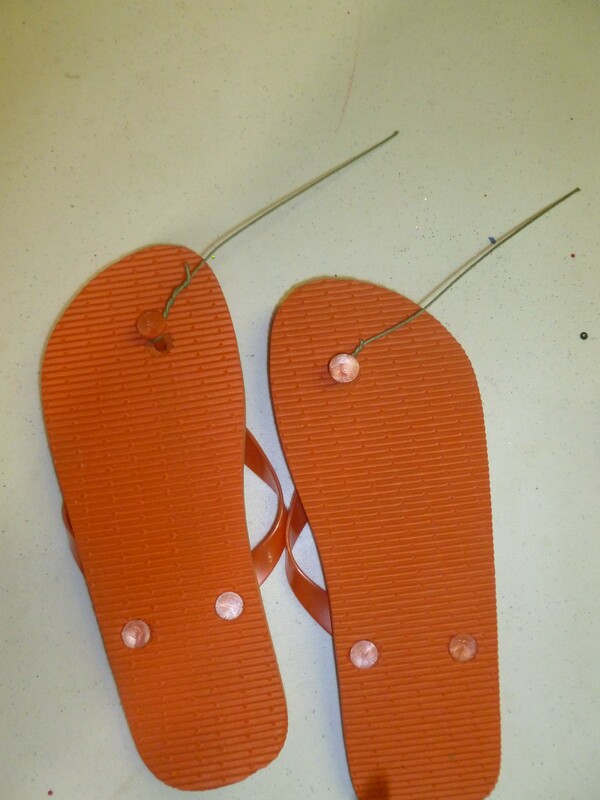 Next I prepped all my flip flop pairs by attaching wire onto the back wrapped around the middle tab. 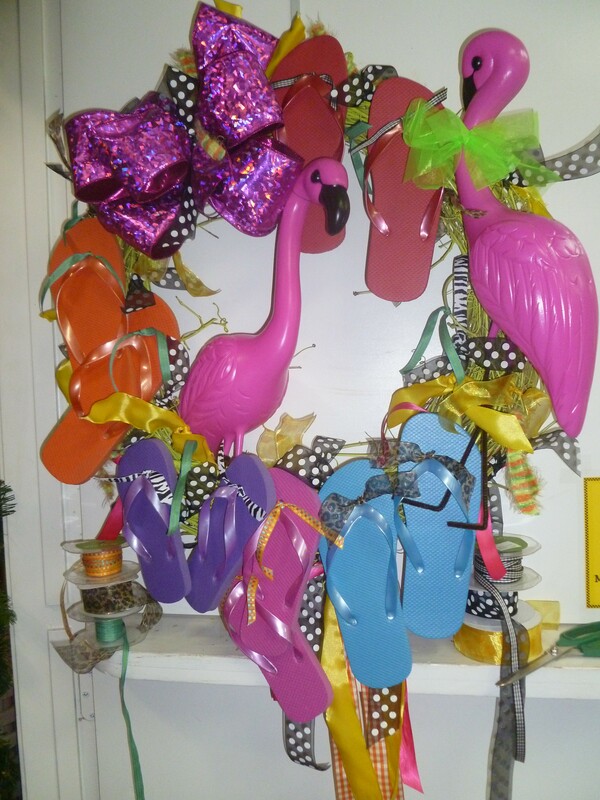 This allowed me to wire the flip flops onto the wreath. Brown pipe cleaner hot glued into leg holes. 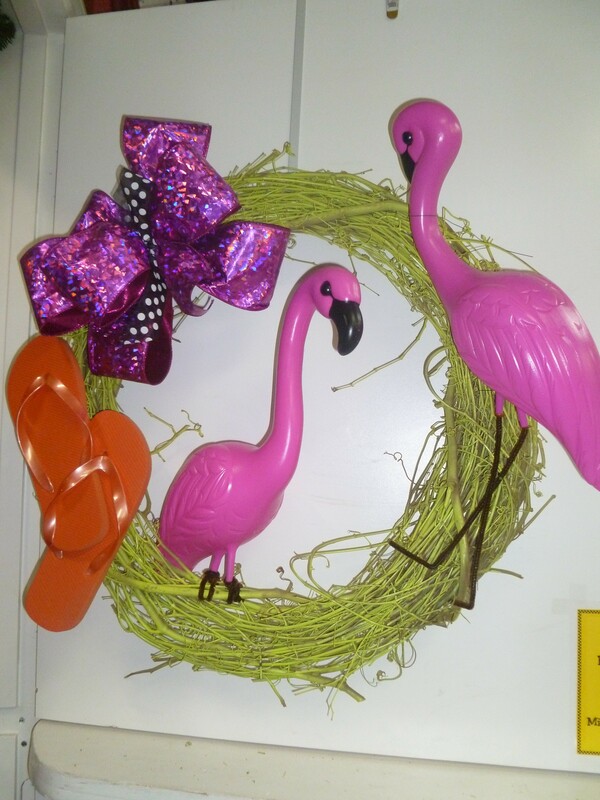 I placed one flamingo in the middle of the wreath and wired on with the pipecleaner legs (this won’t show after ribbon and flip flops are added. The other flamingo was attached with thin wire around the neck and one of the legs under the body. The flip flops and ribbon will be our supporting stars! More flip flops wired on! The More ribbon the merrier! 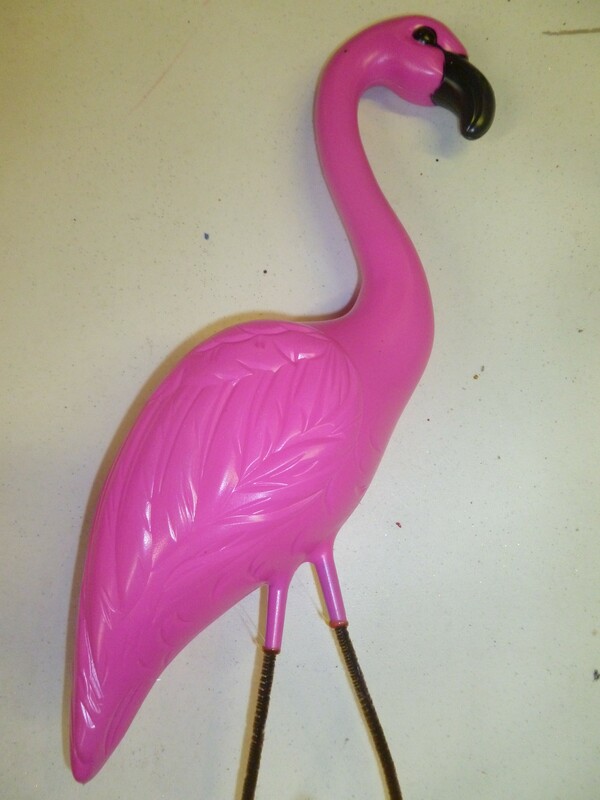 I added a green bow (still tied from a package) to the neck on the flamingo to hide the wire. I let longer lengths of ribbon hang from the bottom of the wreath. 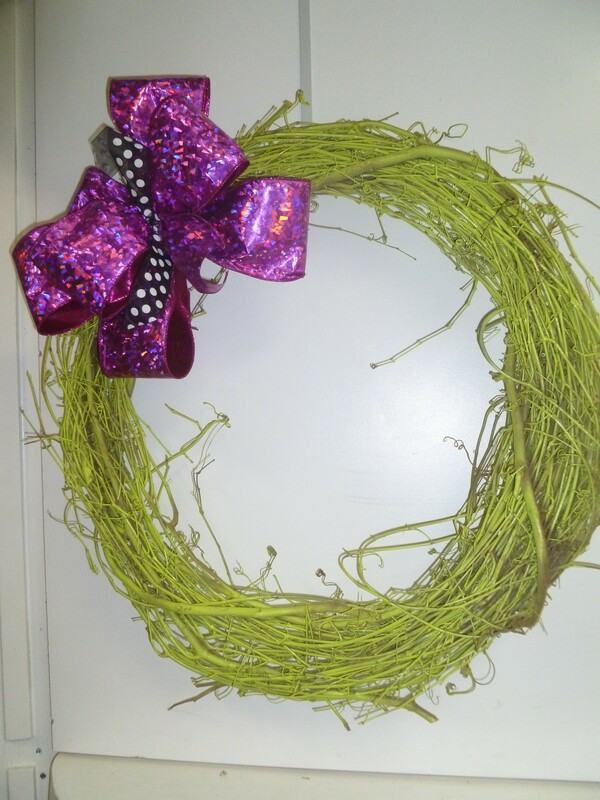 Have fun mixing and matching with the ribbon, loop it through the grapevine and tie. 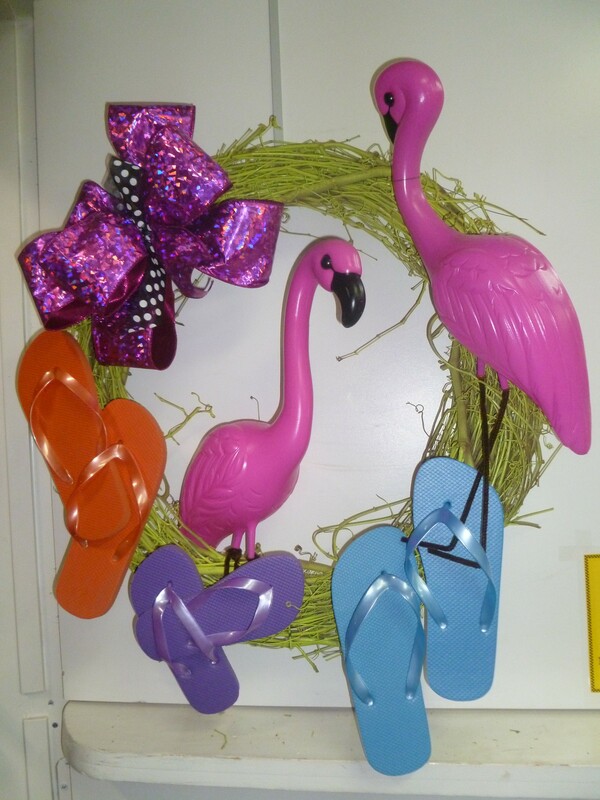 Show Me some flip flops and flamingos and I will Show You a fun summer time wreath!